Taş, İ. and Dinler, V. (2013), “The Assessment of Hittite Criminal Law According to Modern Paradigms“, 59th Rencontre Assyriologique Internationale “Law and (Dis)Order in the Ancient Near East”, Faculty of Law of Ghent University, July 15-19, Ghent/Belgium. 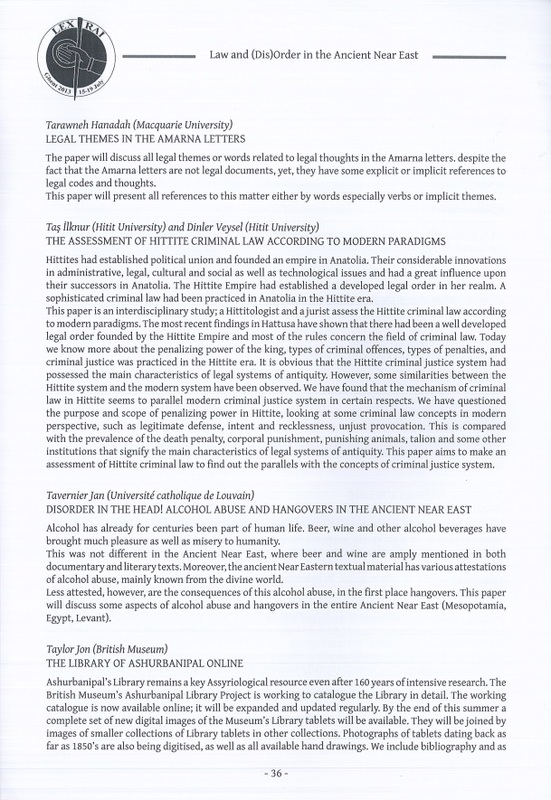 Taş, İ. and Dinler, V. (2015) “Hittite Criminal Law in the Light of Modern Paradigms: Searching for the Traces of Modern-Day Criminal Law in The Past” Aramazd Armenia Journal of Near Eastern Studies, Volume IX, Issue I, pp. 73-90. 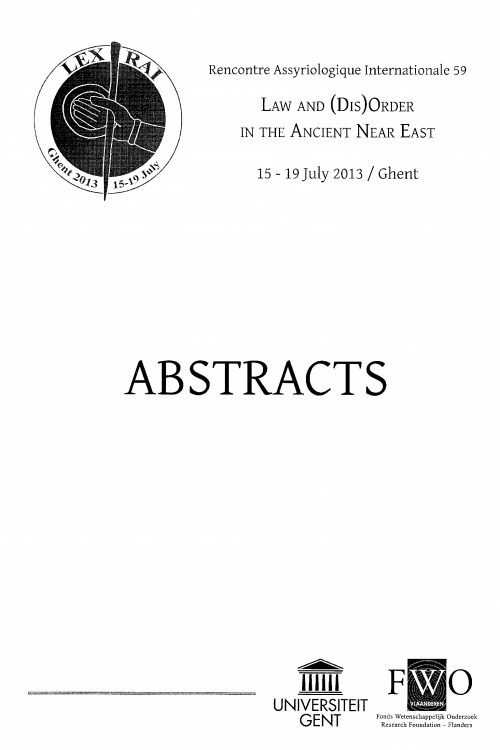 Taş, İ. ve Dinler, V. (2015) “Hittite Criminal Law in the Light of Modern Paradigms: Searching for the Traces of Modern-Day Criminal Law in The Past” Aramazd Armenia Journal of Near Eastern Studies, Vol. IX, Is. I, ss. 73-90.